If you fail to follow this advice, your days will be numbered. 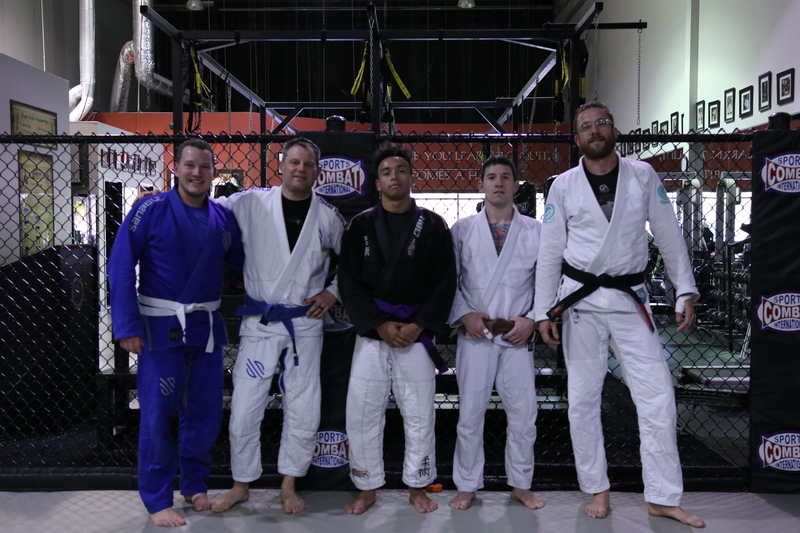 We all love jiu-jitsu, especially when we are new to the activity. Everything is new and exciting. Our improvement curve is pointed straight up. Every class brings with it an improvement in our game. That first year or two of training creates the foundation of our future in jiu-jitsu. The first year or two of training is that “newbie” phase. It’s the white belt phase of your jiu-jitsu journey. There a clash that happens at the white belt phase of training. The clash is between your enthusiasm for the activity, your ego, and your reliance upon physical strength to get you out of trouble or to go on the attack offensively. It’s common for most beginners to show up to class with a combination of nerves and anxiety along with a desire to do well, perform well, and win! Winning is fun. Being good at something is enjoyable. It’s satisfying. It’s pleasurable. We all like to win. And you struggle…and you use strength…and you try and power out of things…and explode…and things get dangerous for you and your training partner. Your joints and tendons aren’t used to the workload of jiu-jitsu (yet). You may even be a fit athlete. But doing jiu-jitsu as a beginner is like being a beginner power-lifter doing nothing but max repetitions every workout. It’s not an optimal training protocol. It will eventually result in injury. An injury is the number one thing you need to try to avoid during your jiu-jitsu journey. An injury will stop all momentum in your training. It will stop all consistency in your training. It will force you to change your weekly and daily habits since you won’t be able to train like you could if you weren’t injured. You will lose discipline in your focus and start re-assessing your goals. Being injured will create doubt in your mind if all this jiu-jitsu stuff is worth it. Don’t get injured. Do whatever you have to do to avoid injury. If that means tapping too early, then tap too early. It’s always better to tap too early than tap too late. When you tap too early, only your ego gets bruised. Hopefully, you can quickly recover from that injury. When you tap too late, bad things happen. Have fun. Jiu-jitsu is supposed to be a fun activity. You are supposed to enjoy it. Is it hard? Yes! Is it always glorious? No! Will you want to quit a million times? Yes! But you will stay on the path to success if you keep jiu-jitsu fun and playful. Have fun with your friends, smile, laugh, roughhouse with good intentions. Don’t take it too seriously, even if you compete and want to be good (or great) at jiu-jitsu. Being good (or great) will take a long time and you won’t put in that required time if it isn’t fun over the long-term. Work on technique. Technique is where it’s at in jiu-jitsu. If you are relying on strength and athleticism to do well (or win) then your days are numbered even if you are a great athlete. All athletes age. All athletes, slow down over time. All athletes will eventually be outdone by a younger, stronger, more ambitious competitor if that is all you have to rely on. You can’t be the young dominant bull forever. Nor is that what jiu-jitsu is about. Jiu-jitsu is about nullifying a bigger and stronger opponent through superior technique, not dominating via physical force. Win. Ok, once you have avoided injury through precision rolling, are having fun with your friends and are enjoying the journey, refining your technique, then you can apply those things and look to “win” if competing or when rolling against teammates in class. See if your jiu-jitsu is better than their jiu-jitsu. Try to outclass them. Try to outmaneuver them. Try to outsmart them. Try to win. Do NOT hurt your training partner. Without training partners, we can’t do jiu-jitsu. Do NOT hurt yourself. If you are hurt, you can’t train. If you can’t train, you will not improve your jiu-jitsu and you’ll end up quitting. If you quit, you will deny yourself a lifetime of benefits from doing jiu-jitsu. Jiu-jitsu will change your life if you stick around long enough. Jiu-jitsu will make you better off the mats as well. Give yourself a chance to succeed.